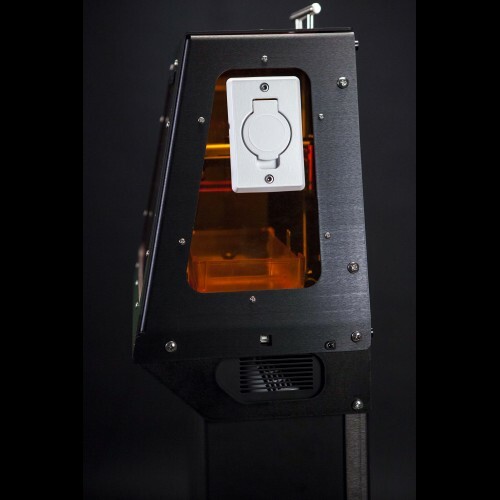 Along with your B9Creator v1.2, you will receive one kilogram of B9R-3-Emerald Casting resin as standard, with available upgrades to B9R-2-Black or B9R-4-Yellow at the customer's option. The B9Creator v1.2 also includes a 1-year warranty, two B9 Resin Vats, and a B9Creator Calibration Grid Set. The B9Creator V1.2 CE is designed for use in office environments, classrooms, or other applications where adequate ventilation may not exist or strict odor control is desired. The unit comes with extensive labeling of safety and operating concerns in accordance with CE requirements. The included front cover prevents access to the projector, focus/calibration settings, and electronics yet can easily be installed and removed without tools. 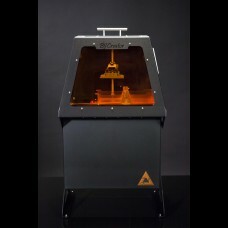 The B9Creator v1.2 - CE combines CE certification and the capability to easily connect to a ventilation/odor control unit such as the BOFA 3D PrintPRO. You’re about to receive the best 3D printing technology, we think you should have the best support too. B9Creations has developed a training course tailored to your application & designed to set you up for success. Receive extensive, one-on-one training and learn everything you need to know when printing with your new B9Creator v1.2. Whether you’re new to 3D printing & digital design or wanting to seamlessly upgrade from different technology, our trained technicians will take you step-by-step from the moment you receive your B9Creator to completing your first print. More information here.